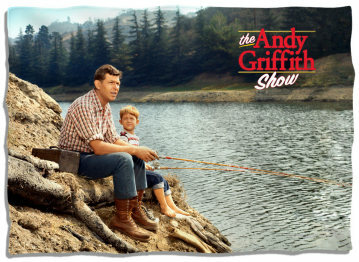 Get a great nights sleep dreaming of joining Andy an Opie at the fishin' hole while your head rest on this pillow case. Insert your favorite bed pillow and get a great night's sleep relaxing down at Myers Lake. 100% polyester pillow case the design is one side, the other side is white. The pillow case measure 20 in. x 28 in and it fits a Standard pillow like the ones used by Aunt Bee at the Taylor's home.